The other morning I met a friend for coffee at Starbucks. 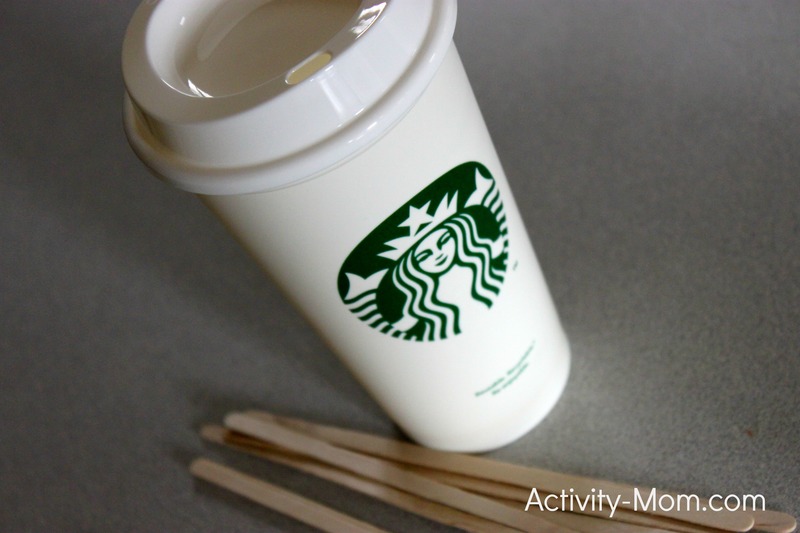 I bought their $1 reusable cup (mostly because I thought it was a good deal for a travel coffee cup) and grabbed a couple of coffee stirrers for N in case she got bored with her bag of stuff. When she looked like she was getting antsy I gave her the cup and the sticks and challenged her to see how many sticks she could drop in the slot of the top. She spent awhile putting them in, trying to dump them out of the slot, and then opening the lid and pretending she was cooking with them. 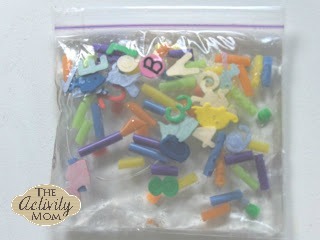 You can also make letters with them (T, N, M, X, H, A, E, F, I, K, L, V, W, Y, Z) or build a fort for a character. If your Starbucks doesn’t have the reusable cup for $1, I bet you could ask for an extra cup. 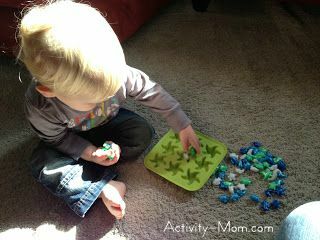 The possibilities are endless with such a quick and simple activity! 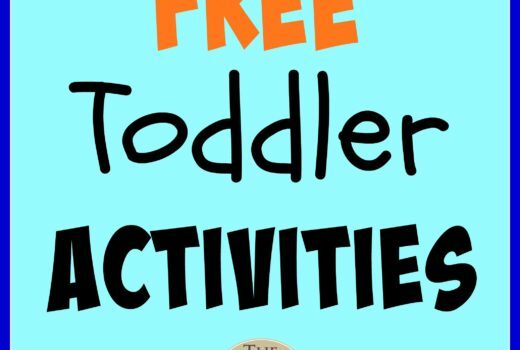 LOL, this activity is GOLDEN! You know what–this probably took you about 10 minutes to write, but I know a lot of moms (myself included) will consider this idea priceless!